As we approach Christmas (apologies if you’re reading this review in a month outside of December!) it’s always nice to play a magic-filled slot you’ve never tried before. Novomatic – Book of Ra-boasting developer giants – are back with a slot filled with fairies, magic mushrooms and spells galore. 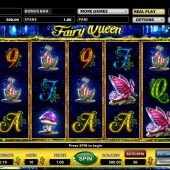 Novomatic’s Fairy Queen is a 5-reel, 10-payline video slot with some nice, friendly betting starting at just $0.01. Mixing it up on the reels with the fairies and mushrooms are trolls, spirits, elves and gnomes – just a regular day in the Peter Jackson household, then. Win a 36,000 Coin Jackpot! The Fairy Queen icon is Wild and substitutes for all regular symbols except the game’s Scatters. As for a tasty jackpot there are 36,000 coins for getting five Wilds across the reels in the base game. Three Scattered forest lamp symbols anywhere on the reels, meanwhile, triggers the bonus round - a tasty free spins round with 10 spins automatically awarded. During the free spins round, a special symbol is randomly selected. This will expand if found on Reels 1 or 2 while the remaining reels spin. This can lead to some seriously sweet bonus wins overall. A pretty measly free spins round is all that can really recommend this slot to players. The graphics and gameplay are pretty slick in a Novomatic kind of way, and the theme is always going to be popular, but it certainly is lacking even just one more little bonus round. Hell, even a Click Me Bonus would have been nice. Thankfully, there are plenty more magic-themed options out there in online slotsland. 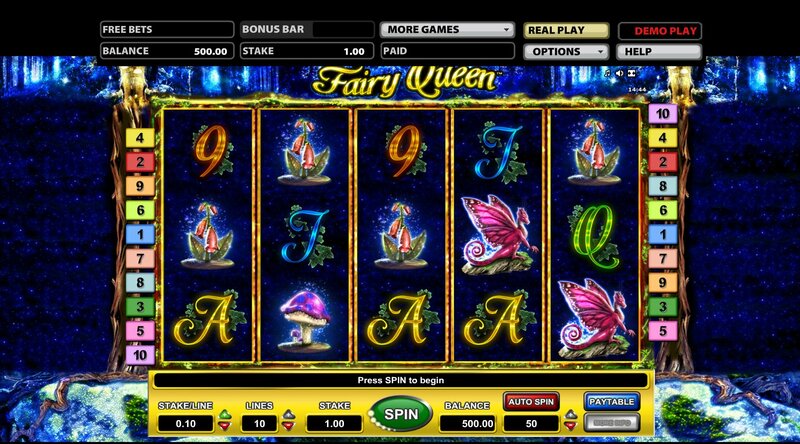 RTG’s bonus-filled fantasy slot, Enchanted Garden, is a decent place to start if you like lots of extra features, as is Mythic Maiden – NetEnt’s magic-filled game; both games will have you dreaming of enchanted forests and treasure troves galore.